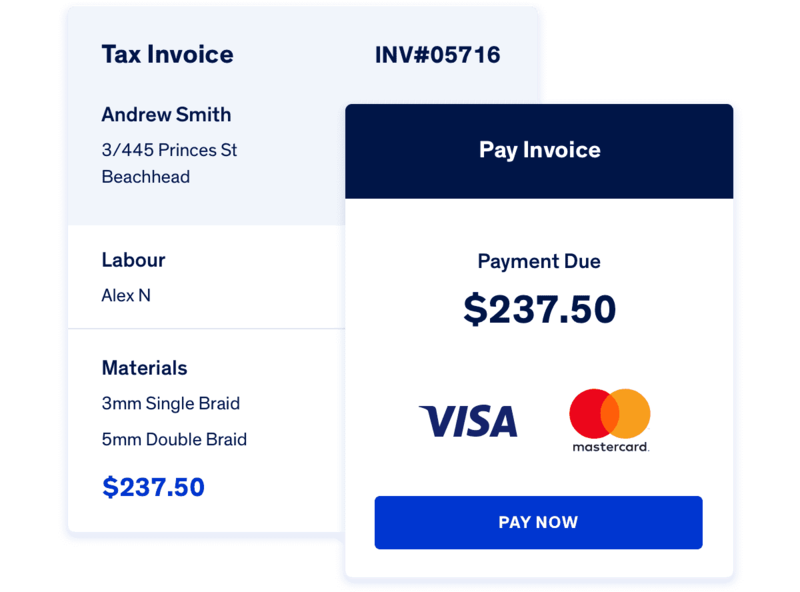 Cut out double handling with pre-populated invoices, stay on top of payments and get your cash flow pumping. 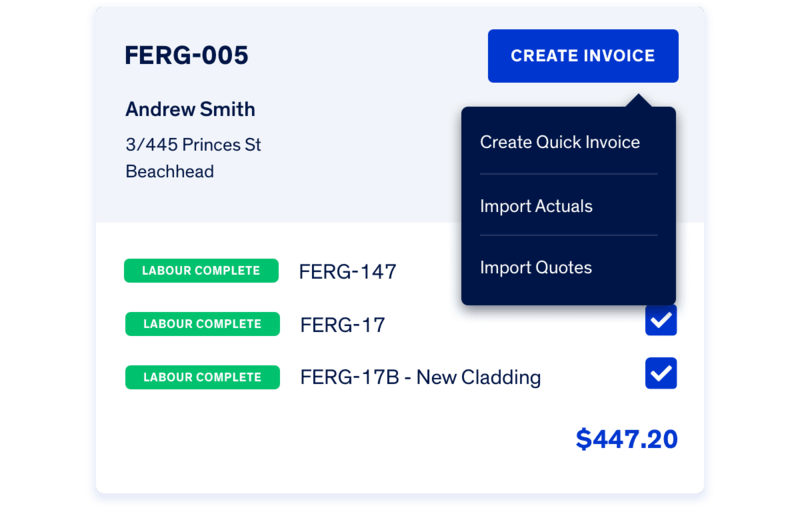 Give the job card a once-over, generate an invoice and send it in a matter of minutes. 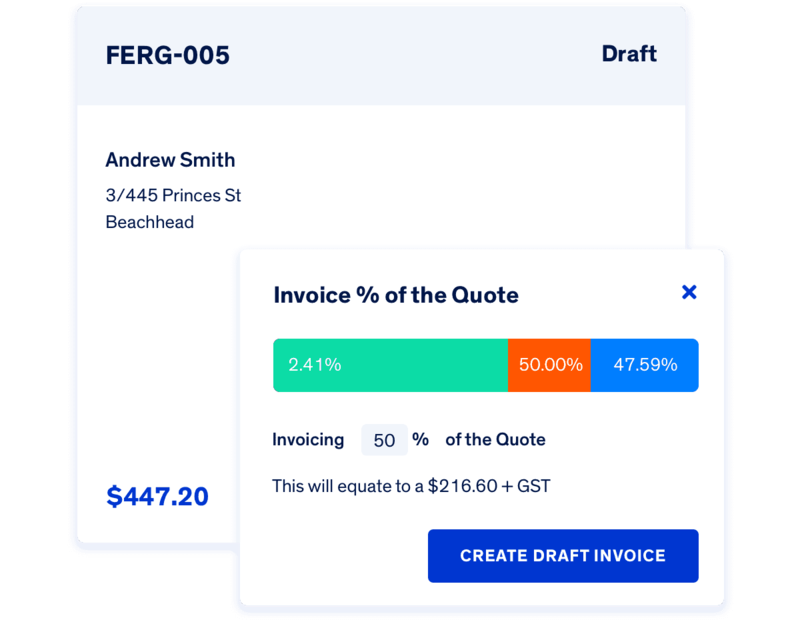 Set percentages and invoice dates when building the job, and then automatically send out invoices on those dates. 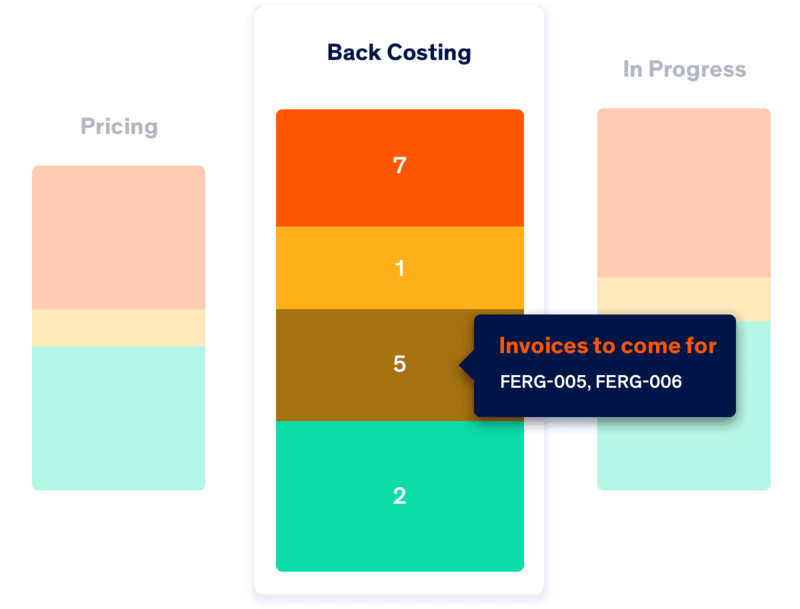 Move the job from in progress to back costing while you wait to get your final costs before you invoice your customer. 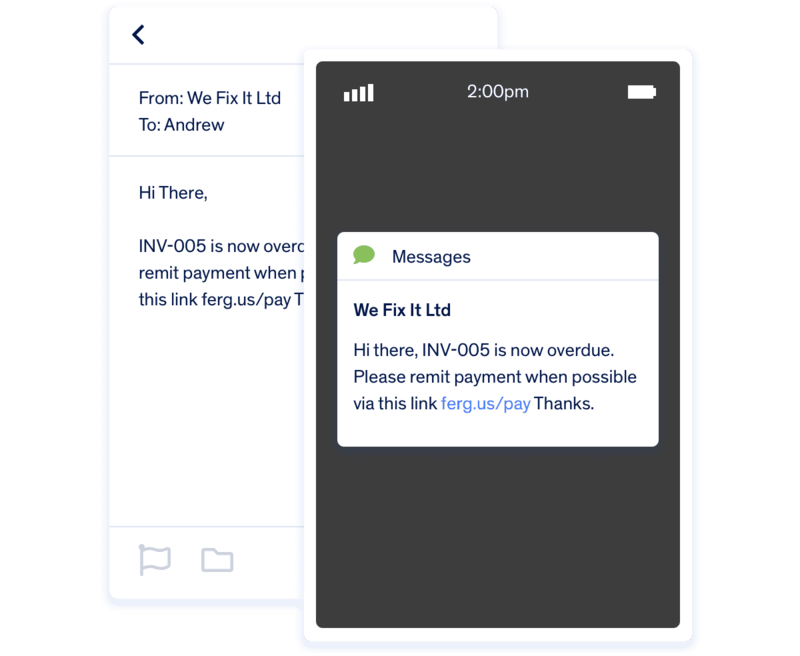 Set-and-forget email and SMS reminders to go out to your customers when invoices become overdue. Use Fergus Pay secure payment processing to get paid faster and speed up your cash flow. Powered by Assembly Payments.